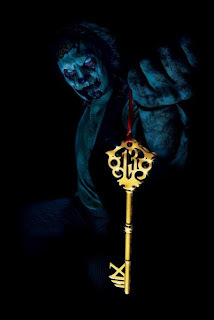 Images courtesy of the Howl-O-Scream official site. 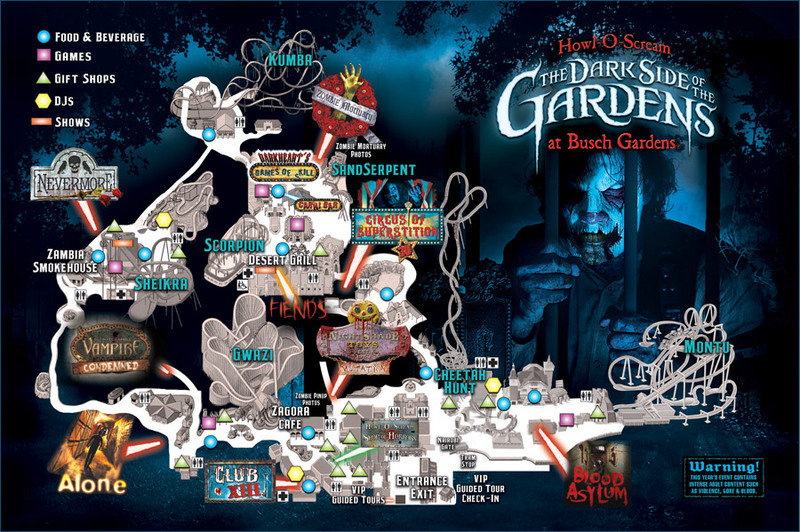 Busch Gardens Tampa has released details and launched the website for their 2012 Howl-O-Scream event. Like Universal, this event includes mazes, "scare zones" with roaming monsters, and shows all packaged to terrify guests. This year's collection of horrors is themed "The Trickster's Garden," with the tagline "Unlock the Fears Inside." 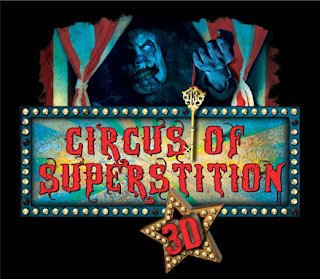 Circus of Superstition: A 3D maze combining evil clowns with 13 terrifying superstitions, ruled over by this year's event icon, the Trickster. An odd combination, but could definitely lend itself to a nice sideshow atmosphere. 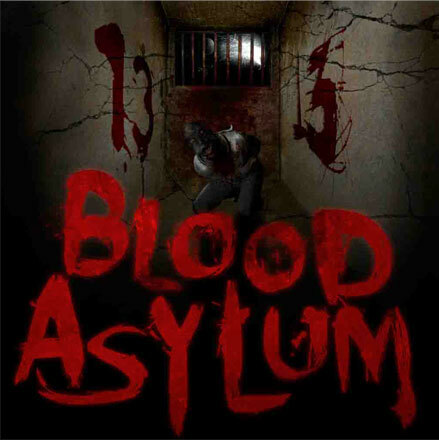 Blood Asylum: Asylum inmate dubbed "The Creature" escapes and turns his former prison into a torture chamber, including skinning the other poor souls trapped inside. 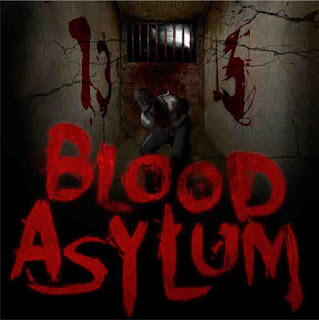 While asylum mazes are a Halloween staple at this point, and sometimes a bit controversial, this one at least introduces a strong central "monster" to tie the whole thing together. Nevermore: Guests walk into the twisted world of Edgar Allan Poe's stories. 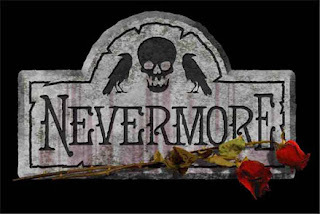 Unlike last year, this attraction won't be competing directly with Universal's offering of the same theme, which was dubbed "Nevermore: The Madness of Poe." 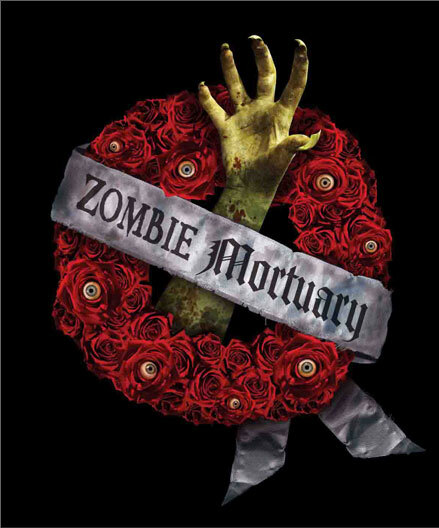 Zombie Mortuary: You're in a mortuary, and the dead are rising as zombies, and that's it for plot. At this point, I think Halloween events are required by law to include at least one zombie theme. 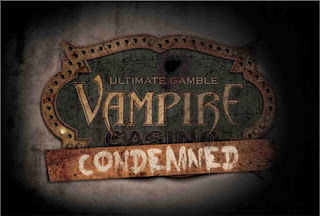 Ultimate Gamble- Condemned: This isn't just a vampire casino, it's now a condemned vampire casino. The interesting twist is that the preview mentions that the "power is off," and that guests will "grab their flashlights." This may indicate a pitch black maze that will require flashlights to navigate, or it could just be over descriptive hype. 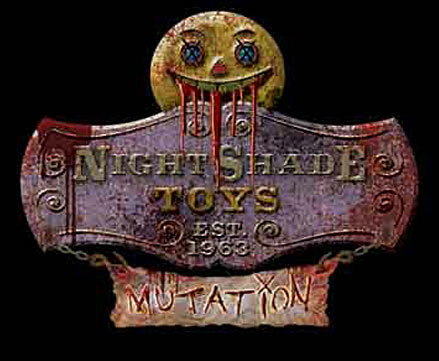 Nightshade Toy Factory- Mutation: An evil toy factory is hit with radiation from a nearby nuclear power plant, which results in the evil toys mutating into even more horrifying forms. This house probably takes the "old house with a twist" concept a little too far. It makes me wonder if next year the evil toy factory next to a leaky nuclear plant will be now located on top of an Indian Burial Ground. 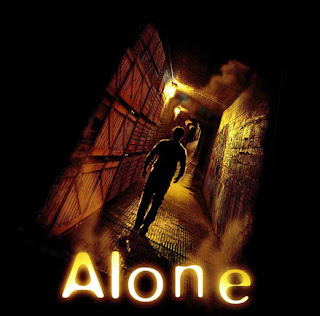 Alone: The return of Busch Gardens Tampa's private maze, which requires advance reservations and an additional fee. Trapped in a mad hoarder's warehouse, you must escape the madness alone. The event also includes scare zones, though only Faded Memories is previewed so far, featuring a collection of past icons, themes, and scenes from previous Howl-O-Screams. There is also the show Fiends, as well as the adults-only dance party at Club XIII. 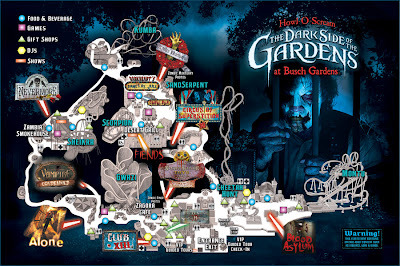 Howl-O-Scream 2012 is every Thursday to Saturday night from September 27th to October 27th. Hours are 7:30 p.m. to 1:00 a.m. during previews and Thursdays, 7:30 p.m. to 2:00 a.m. on every other event night. Admission starts at $79.99 per person, but deluxe packages, as well as discounts for annual pass holders, are available.